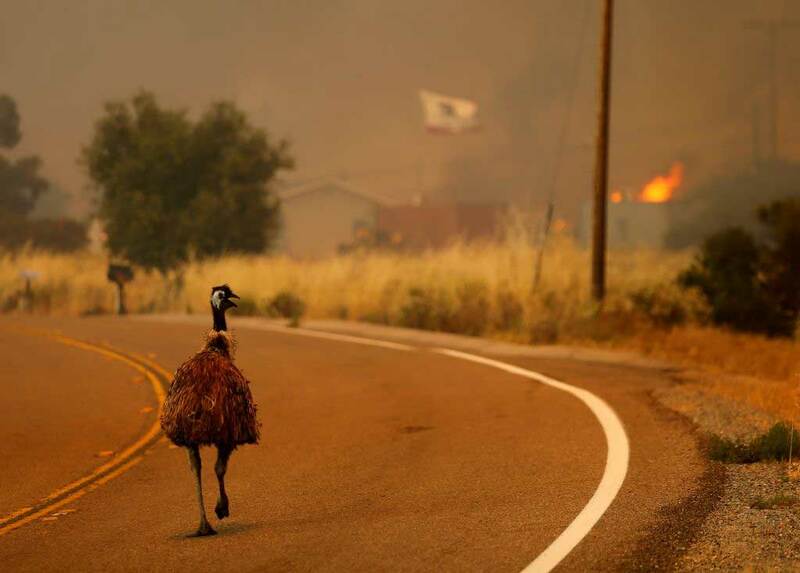 The San Diego County Sheriff's Department says an animal control officer was shot at while trying to rescue an injured emu from a raging fire on Monday. Sheriff’s Sgt. Joe Leos reports that an animal control officer with San Diego County Animal Services was trying to help an emu who had been burned in the fire. The emu’s owner reportedly didn't want the officer to take the flightless bird. He went inside his home, grabbed a shotgun, returned and fired three shots into the air. "We were not expecting somebody to come out with this much hostility," Leos said. Deputies arrested a 35-year-old man for firing the shotgun. The injured emu got away. 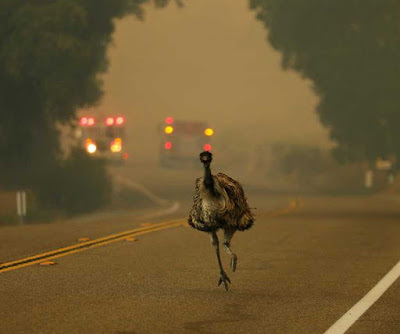 "I think the emu just kind of ran off into the hills," Leos said. Leos said the suspect has a criminal history and was not allowed to have a gun or ammunition. The animal control officer was unharmed.